This is another ‘Did you know?’ kind of an infographic. This time, we break down human body and learn what we didn’t know so far. Also, there is a little bit of history there as well. 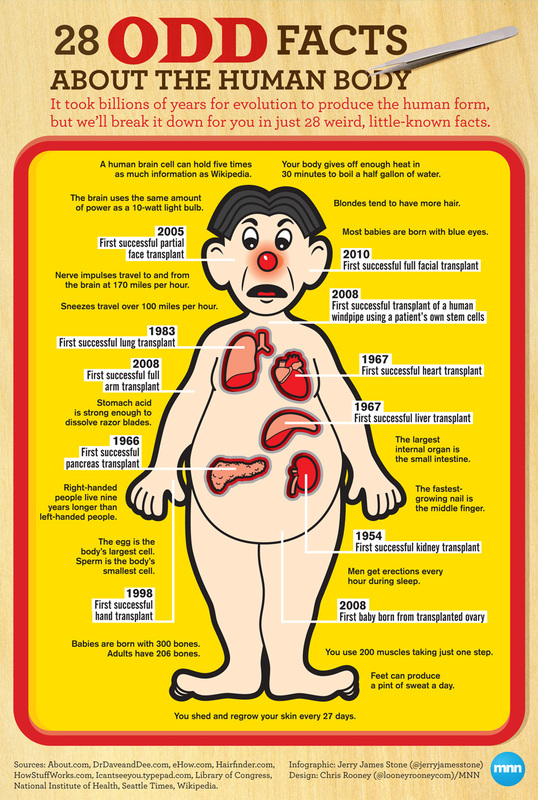 Did you know when the first successful heart transplant was done?